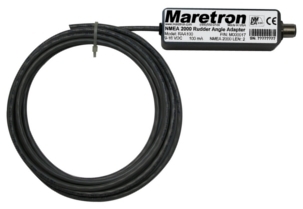 The RAA100 is used to adapt commercially available resistive rudder angle senders to the NMEA 2000? network. This allows you to observe rudder angle anywhere on the vessel where there is an NMEA 2000? compatible display such as the Maretron DSM200.